As a boy growing up in Hyderabad, India, Satya Nadella so loved the sport of cricket that he played competitively on his school team. Now he is the top player on the team at Microsoft, the aging US technology colossus where he has worked for nearly half of his 46 years of life. "I think playing cricket taught me more about working in teams and leadership that has stayed with me throughout my career," the newly chosen Microsoft chief executive said in his online company biography. Early in his academic career, a drive to build things led him to pursue computer science, a focus not available during his studies at Mangalore University, where he earned a bachelor degree in electrical engineering. For a master's degree in computer science, he went to the University of Wisconsin in Milwaukee. Nadella earned a second master's degree in business at the University of Chicago. "The one think I would say that defines me is that I love to learn," Nadella said in a video interview posted by Microsoft. "I buy more books than I read, or finish; I sign up for more online courses than I actually finish." In a sign of what may be to come for Microsoft stalwarts, Nadella spoke emphatically of his passion for learning and admiration for those who find creative new approaches or ideas. 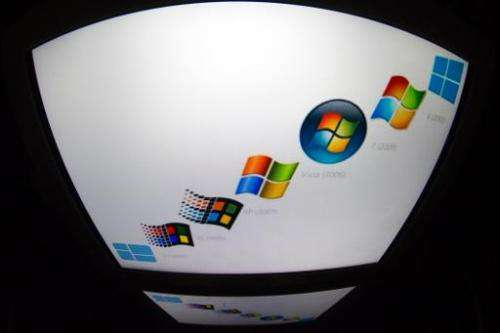 Nadella says that for Microsoft to succeed, it needs to adapt to new trends. "While we have seen great success, we are hungry to do more," he said in an email to employees. "Our industry does not respect tradition—it only respects innovation. This is a critical time for the industry and for Microsoft. Make no mistake, we are headed for greater places—as technology evolves and we evolve with and ahead of it." Nadella's first tech industry job was with California-based Sun Microsystems. He was hired by Redmond, Washington-based Microsoft in 1992 while he was working on his business degree. "I used to fly to Chicago Friday nights, attend classes Saturdays and come back to Redmond to work during the week," Nadella said. It was also about that time that he married a woman he had known since high school. They have been married 22 years and have three children. When he joined Microsoft, Nadella was one of two Indian employees at a company that had about 160 workers at the time, Indian-American technology entrepreneur and academic Vivek Wadhwa wrote in a piece published in the Economic Times. Wadhwa credited Nadella with helping turn Microsoft's PowerPoint division into a billion-dollar business. Nadella's Microsoft bio shows stints in research, business, server and online services units. Nadella is credited with leading Microsoft's shift from the fading packaged software business to the booming market for software offered online as services. Microsoft built its empire on Windows, Office, Word and other software sold in packages and installed on the vast majority of computers worldwide. But, a trend to renting software hosted in the Internet "cloud" and accessed increasing using smartphones or tablet computers has knocked the legs out from under Microsoft's traditional business model. 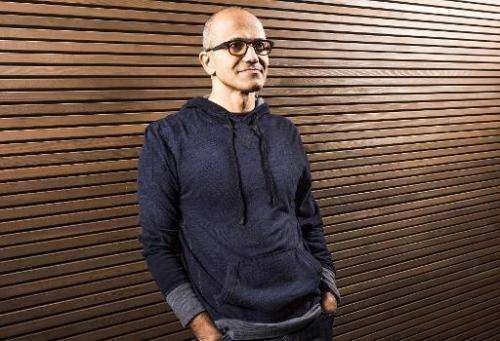 For relaxation, Nadella turns to Indian and American poetry, which he likened to complex data being encoded and compressed to express rich ideas in just a couple of lines of words. He is also a fan of cricket test matches that pit representative teams from countries against one another in games that typically span days. "I love it," Nadella said of cricket test matches. "There's so many subplots in it, it's like reading a Russian novel." In an email to Microsoft workers, Nadella was already rallying his team. He told them that he joined Microsoft to change the world, and that the company has the talent, resources and perseverance to do just that.